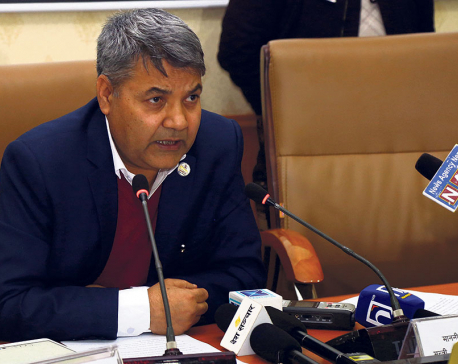 KATHMANDU, April 16: The Ministry of Finance (MoF) has intensified work for formulation of federal budget for the upcoming Fiscal Year 2019/20, with less than one and a half months at hand to table the budget in the parliament. The constitution requires the government to table the federal budget by Jestha 15 (May 29) for the upcoming fiscal year. After receiving the ceiling of the budget for the upcoming fiscal year from the National Planning Commission (NPC), all ministries are now working internally to finalize their programs and budgets to be proposed in the new budget. These ministries will be submitting their annual work plans and budget proposal projects to the MoF through the Line Ministry Budget Information System (LMBIS). Uttar Kumar Khatri, joint secretary at the MoF, told Republica that the ministry has taken forward budget formulation process in full swing. 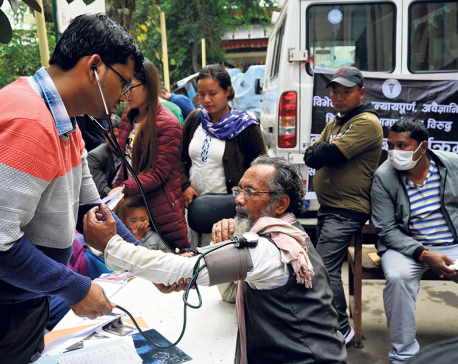 "We are formulating the budget for the upcoming fiscal year within the ceiling and guidance provided by the NPC,” said Khatri, who is also the spokesperson for the ministry. The NPC has provided the ceiling of around Rs 1.5 trillion for the upcoming fiscal budget, according to an official at the NPC. According to Khatri, various committees like budget drafting committee and revenue advisory committee in the MoF are also holding consultations and discussions for the budget. "The budget drafting will be completed on time and tabled in the parliament as per the constitutional requirement," he added. This will be the second budget of the current government. While the government has been struggling with the problem of under-spending of development budget, the government is likely to increase the handouts for elderly citizens from the next fiscal year. Earlier on Sunday, Prime Minister KP Sharma Oli said that the elderly allowance will be raised from the upcoming Fiscal Year 2019/20. While the Minister for Finance Yuba Raj Khatiwada has largely resisted the temptation of the ruling party to increase handouts in the current fiscal year, he has come under pressure to raise the allowances in line with the party's pledges in its election manifesto. Though the MoF has been planning the budget for the upcoming fiscal year, the execution of the budget, particularly capital spending, for the current fiscal year has remained weak like in the previous years. According to the data of Financial Comptroller General Office, the government has spent only Rs 621.997 billion, or 47.29 percent, in first three quarters of the current fiscal year compared to the total budget of Rs 1.315 trillion. The capital expenditure progress is only 34.87 percent. Out of Rs 313.998 billion allocated for capital expenditure, the government spent only Rs 109.49 billion as of April 14. Based on the slow spending figure of the first two quarters, the MoF has lowered the spending projection to 91.2 percent of the total budget introduced in mid-July last year. Min Bahadur Shahi, a member of the NPC, told Republica that the government will bring time-bound plans of the completion of those development projects which had been moving at a snail's pace. "We will have result based projects in the budget of the upcoming fiscal year. Based on that system, those ministries who do not have capacity to spend certain percent of the budget will not be allowed to make additional budget demand from the next fiscal year," added Shahi.